Arguments between spouses, domestic partners, and others in a romantic relationship can sometimes escalate quickly and in such a manner that one party or the other eventually faces criminal charges. This does not necessarily mean that the person accused of domestic violence is guilty of a crime, however. At the Law Offices of Gregory H. Comings, we represent people accused of both misdemeanor and felony domestic violence. San Bernardino and Riverside domestic violence lawyer Gregory H. Comings also assists clients who are subjects of restraining orders related to a domestic dispute. Under California law, the criminal offense of domestic violence is generally defined as the abuse of a person with whom the alleged offender has (or has had) an intimate relationship. “Abuse” means that the defendant either intentionally or recklessly used physical force against the victim or that the defendant threatened to use such force, causing the victim to fear for his or her safety. Possible victims of domestic violence can also include certain relatives, including the defendant’s children, siblings, grandparents, and others. There does not necessarily need to be any visible sign of injury in order for the defendant to be convicted of domestic violence. Domestic violence can be charged as either a felony or a misdemeanor, depending upon several circumstances. Typically, a misdemeanor conviction is more likely for a first-time offender who is accused of an act that did not result in significant physical harm to the victim. In cases in which the offender already has a criminal record or there was great physical injury to the victim, the defendant will be more likely to be charged with a felony. In felony cases, the defendant may be sentenced to more than a year of incarceration. Some of this time may be mandatory jail time, with the remainder served on parole. The offender may also be ordered to pay restitution in the forms of medical expenses, counseling, lost income, property damage, or other losses suffered by the victim. The defendant may also be required to participate in a batterers’ program and pay money into the state domestic violence program. Because of these and other serious consequences, it is essential that a person accused of felony domestic violence speak to an attorney about possible ways to defend himself or herself against unfounded accusations. It could be that the defendant acted in self-defense because the so-called “victim” was physically attacking him or her, or the injuries alleged by the victim may have been caused by an accident. Sometimes, a party to a custody dispute or another legal matter involving a family relationship may even falsify a police report of domestic violence in an attempt to get the upper hand over a former partner, such as the other parent of a child. It may seem simpler just to plead guilty and accept a minimum sentence, rather than hire an attorney and wage a zealous fight against a felony domestic violence accusation. However, a felony conviction of any kind can have lifelong consequences for the defendant, even if he or she serves only a small amount of time in jail. Being a convicted felon can affect job opportunities, housing, professional licensing, and even the defendant’s right to possess certain weapons. Additionally, the defendant’s felony conviction could potentially be used against him or her if he or she is ever charged with another crime. Felony convictions can be both an enhancement factor for future penalties and a possible “strike” against the defendant under California’s “Three Strikes” law. 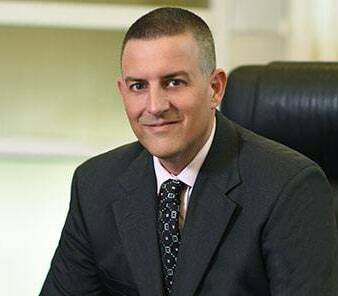 Attorney Gregory H. Comings protects the legal rights of people accused of serious crimes in Riverside or San Bernardino Counties. For an appointment to discuss your case, call us at (951) 686-3457 or contact us online. We can handle all forms of domestic violence charges, ranging from assault to stalking or child abuse.